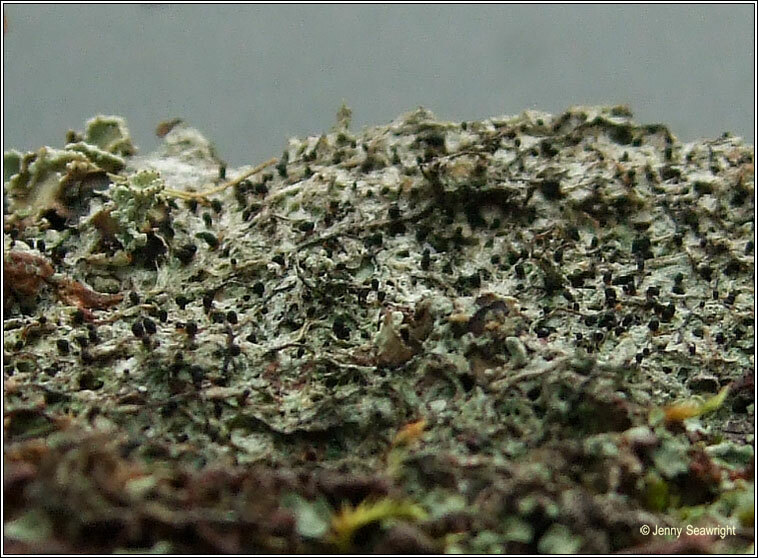 Photos: Over moss on Oak. Glengarriff, Co. Cork, SW Ireland. 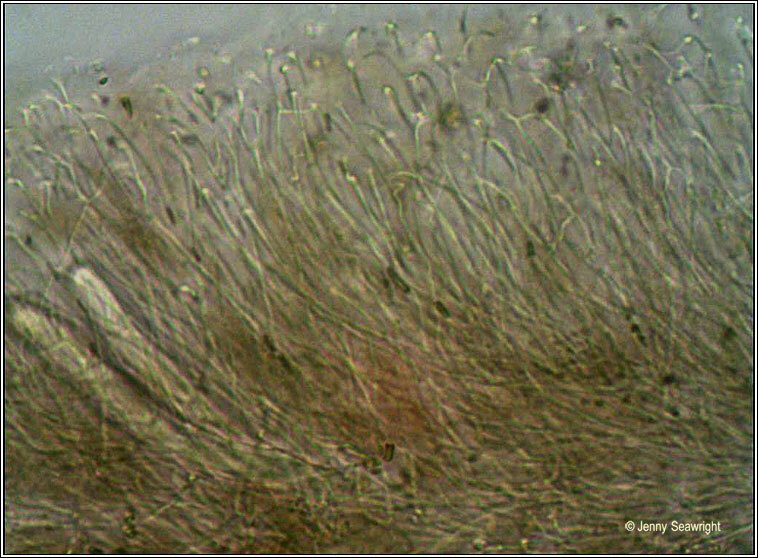 Thin greenish-grey or +/- colourless thallus with scattered blackish-brown apothecia that appear to have short, +/- furrowed stalks. 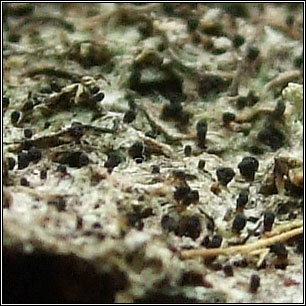 Apothecia are either single or 2-6 per stalk. 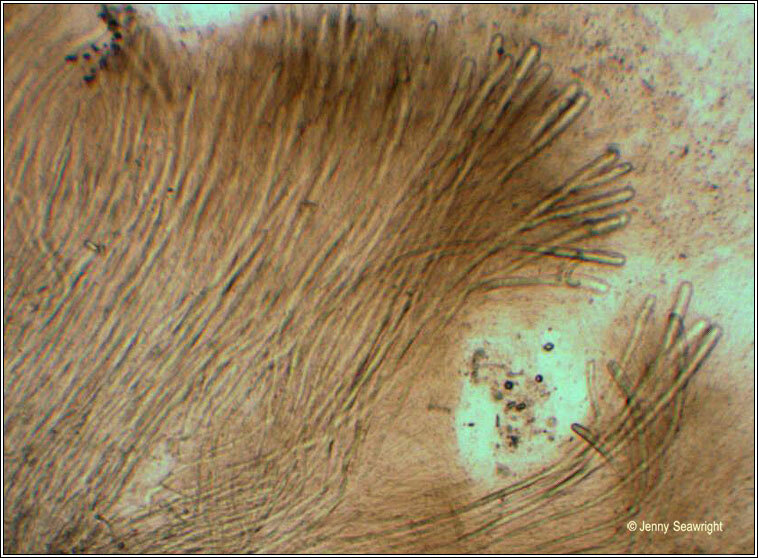 Asci are very long and narrow, 280-350 x 7-10 µm, 8-spored. 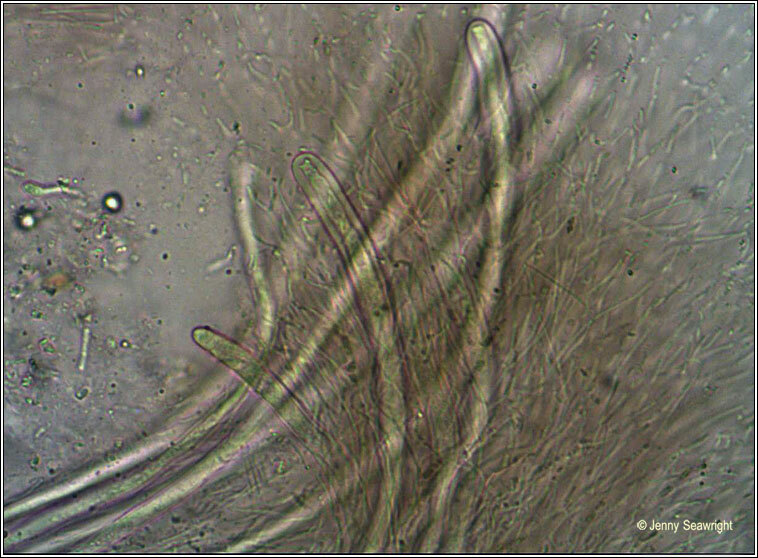 Multi-septate (usually 25-65 -septate), colourless, threadlike spores, 160-200 x 1.5-2 µm. Micro photos below. 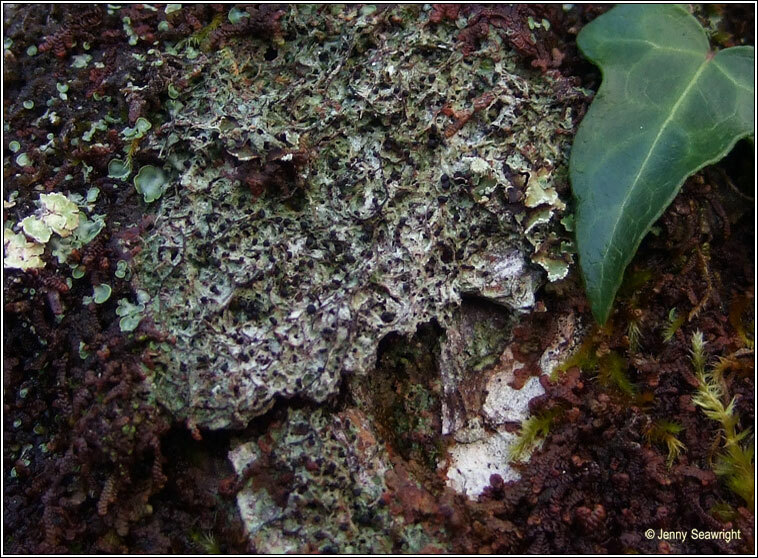 Occurs overgrowing moss and liverworts on mossy rocks or tree trunks in sheltered, humid locations but occasionally found on soil. Most frequent in western Ireland.